A pair of classic Lee Scratch Perry albums – back to back on a single CD! 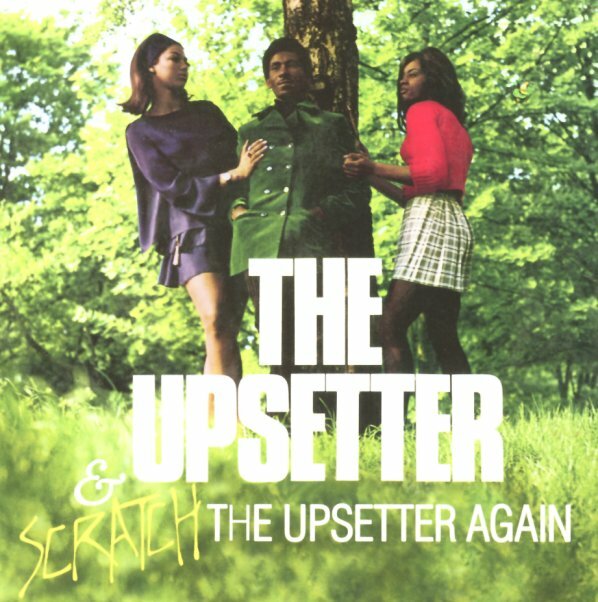 First up is the legendary Upsetter record – revolutionary at the time, still great today – and done with a spare sound that displays the roots of his unique approach! These early tracks don't have the murky smoked-out grooves of his later years, but they're filled with solid songwriting and really inventive production – the sort that laid the groundwork for the legend of the Black Ark years – and which make thing tight, focused, and not the sort of reverb-heavy mess that you might get with some of Perry's lesser imitators. Tracks are mostly easy skanking Upsetters numbers – with titles that include "Tidal Wave", "Heat Proof", "Night Doctor", "Man From MI5", "Dread Luck", and "Thunderball" by The Upsetters – plus "To Love Somebody" by Buster Brown, and "Kiddy O" by The Muskyteers (aka The Silvertones). The set also features the follow-up – Scratch The Upsetter Again – a similar vintage, with the titles "She Is Gone Again", "Mule Train", "Outer Space", "One Punch", "The Denis", "Bad Tooth", and "Soul Walk". © 1996-2019, Dusty Groove, Inc.